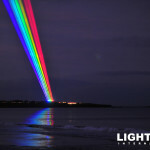 The skies of North Tyneside in the UK were lit up on the last day of February with vibrant shafts of laser light marking the start of the 2012 Cultural Olympiad. 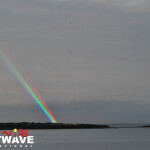 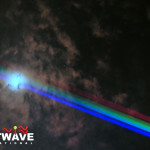 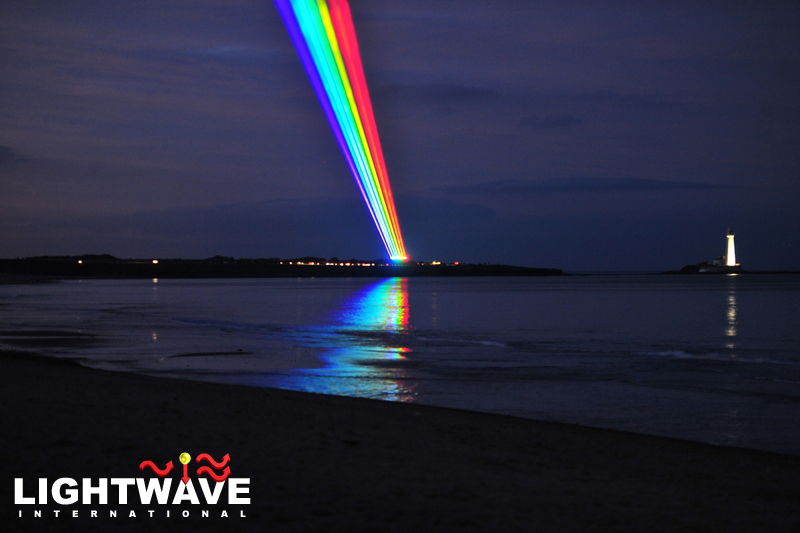 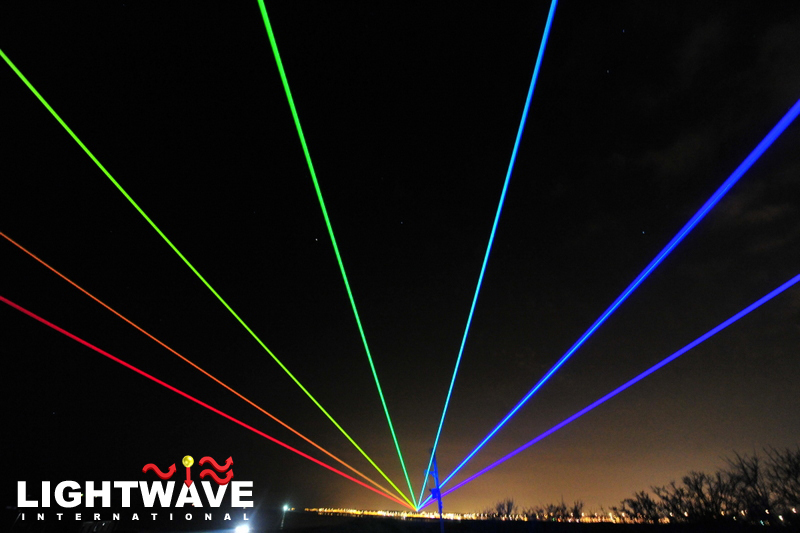 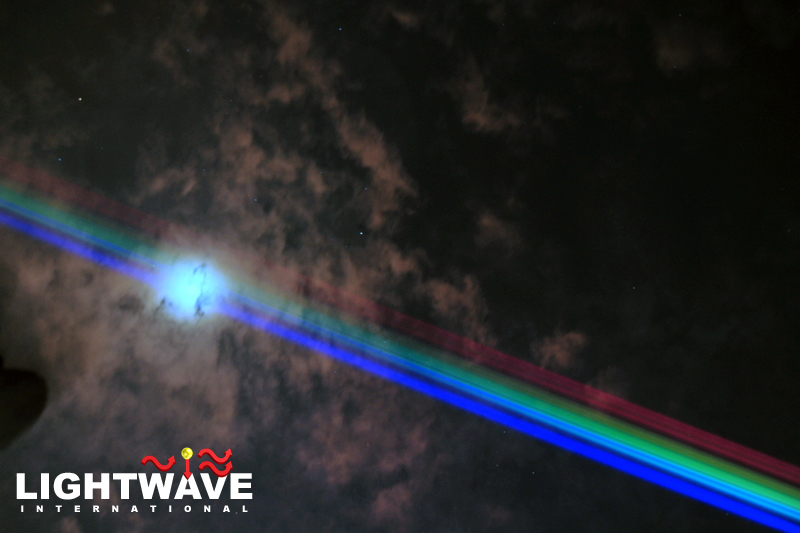 Artist Yvette Mattern brought her "Global Rainbow" work to the UK, powered by lasers from Lightwave International. 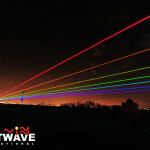 The skies of North Tyneside in the UK were lit up on the last day of February with vibrant shafts of laser light marking the start of the 2012 Cultural Olympiad. 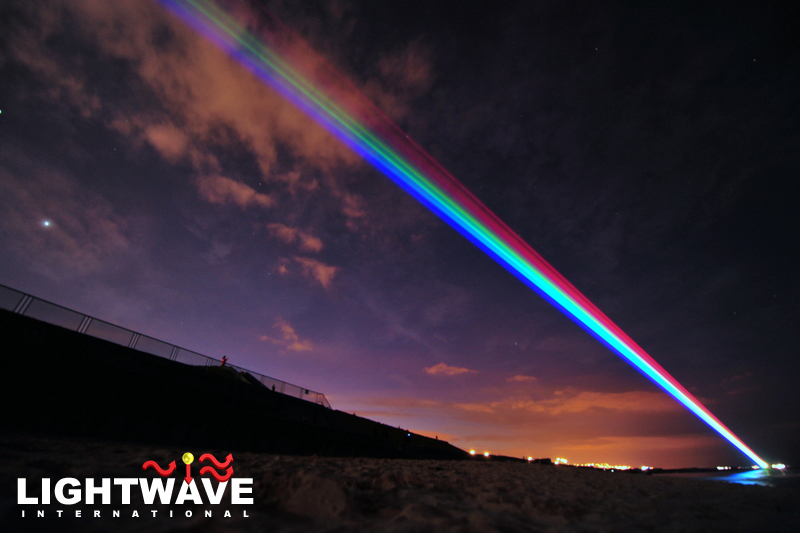 Artist Yvette Mattern brought her “Global Rainbow” work to the UK, powered by lasers from Lightwave International. 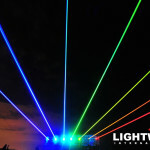 The piece consists of seven parallel beams of laser light, representing the spectrum of the traditional seven colours of the rainbow, designed to be projected across large open sites, particularly densely populated areas. 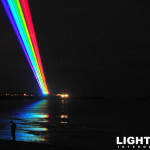 Mattern intends the rainbow to encompass geographical and social diversity in its reach and symbolize hope. 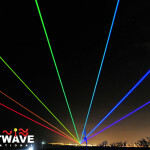 UK Global Rainbow opens the London 2012 Cultural Olympiad year in three regions of the UK: north east and north west England, and Northern Ireland. 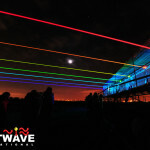 The Cultural Olympiad is a series of arts events happening throughout the UK in the run-up to the Olympic Games, funded by the Arts Council of England, Legacy Trust UK and the Olympic Lottery Distributor. 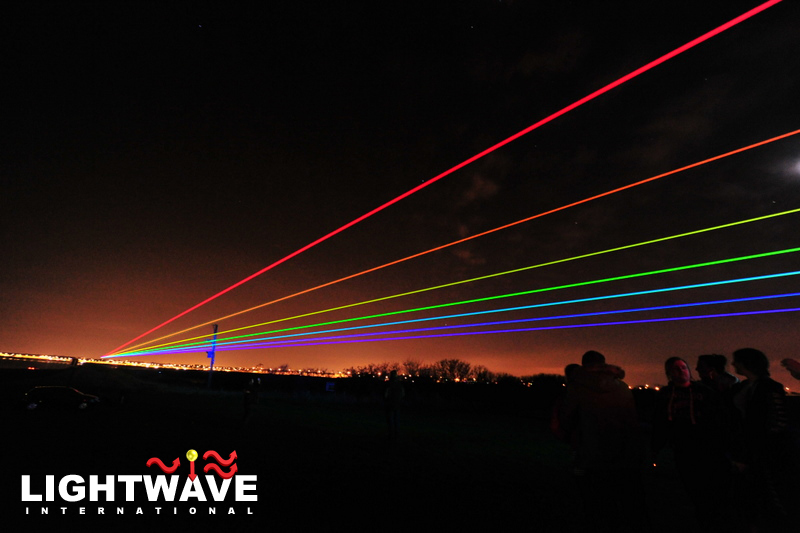 Starting on leap day, 29 February, the UK premiere of this stunning artwork takes place over five nights against the backdrop of the North Tyneside coastline. 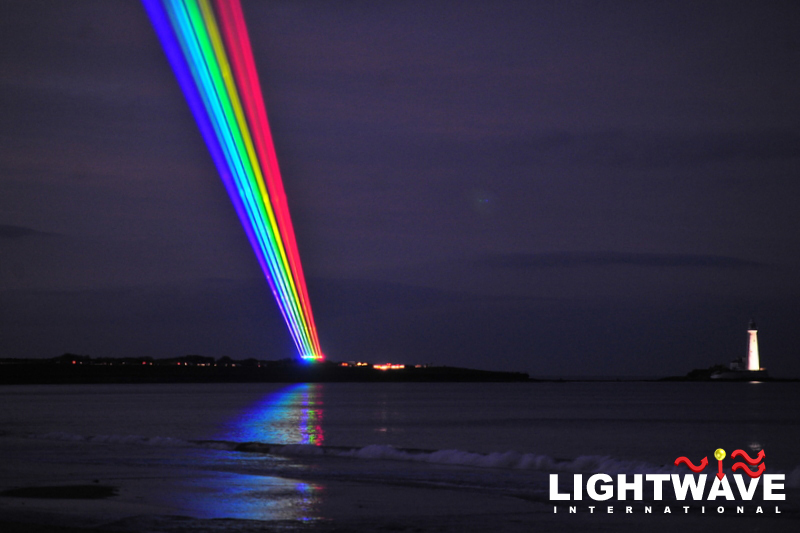 From 8 March, International Women’s Day, the rainbow is being projected over the city of Preston for four nights. 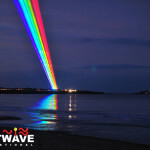 Here, it launches We Play Challenge, the north west’s Cultural Olympiad public participation programme. 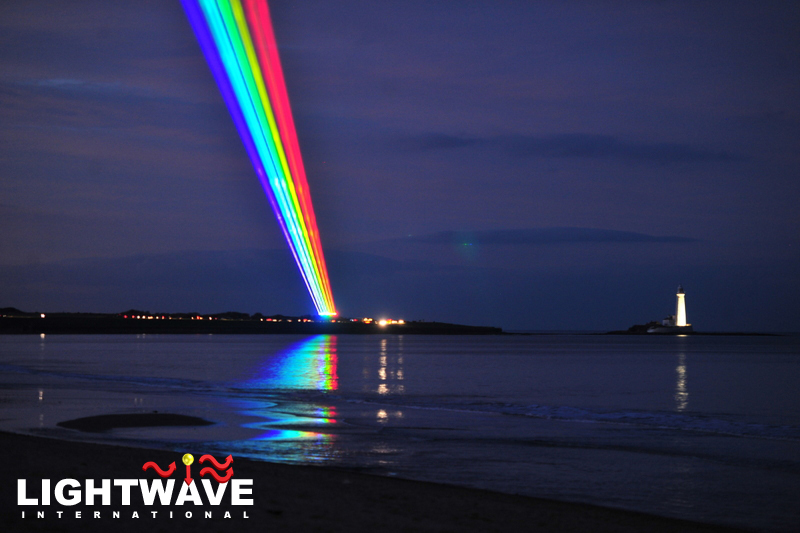 It is one of the first events in the Preston Guild festival. 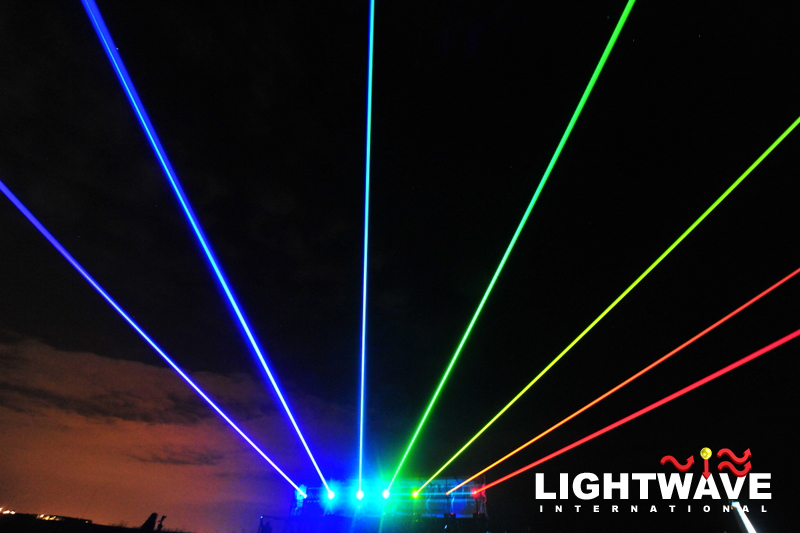 Dating back to 1179, this is England’s oldest festival and takes place once every 20 years. 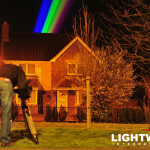 Starting on 14 March and ending on St Patrick’s Day, 17 March, the rainbow is being projected from the base of the landmark site of Scrabo Tower. 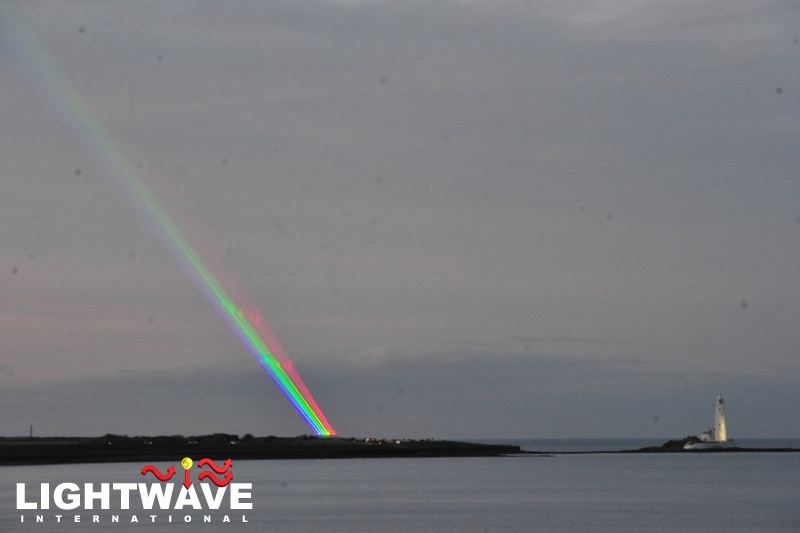 For four nights, it passes over Newtownards, from where it follows the picturesque eastern shore of Strangford Lough and on, over the Ards Peninsula. 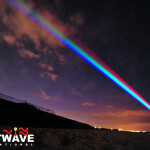 Global Rainbow was initially created for projection in New York City on 19 January 2009 (Martin Luther King, Jr. Day) where it was projected from the top of a Wall Street skyscraper in downtown Manhattan. 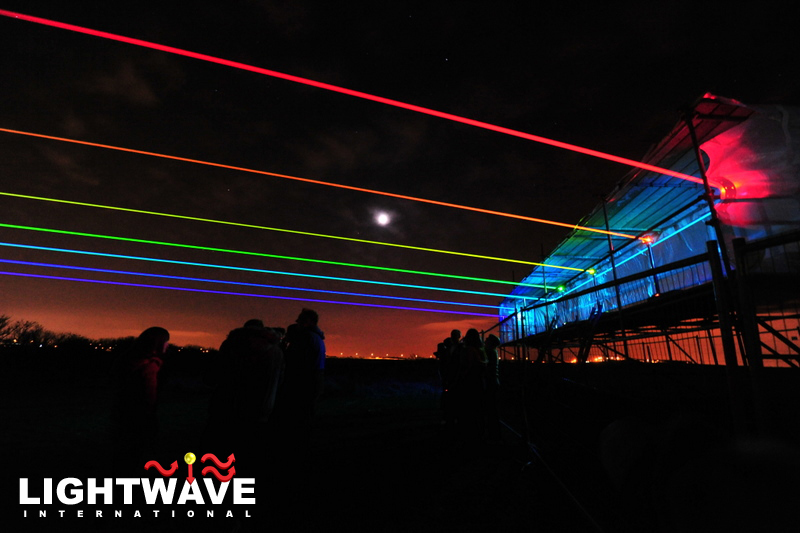 The beams extended from Brooklyn Bridge to the east and the Hudson River to the west, passing over Ground Zero. 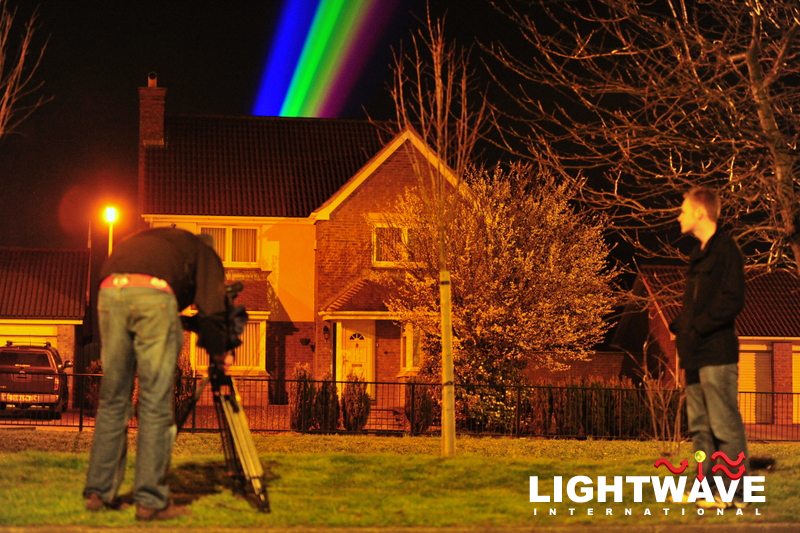 Subsequently, it has been shown in Berlin, Toulouse, Utrecht and Nantes. 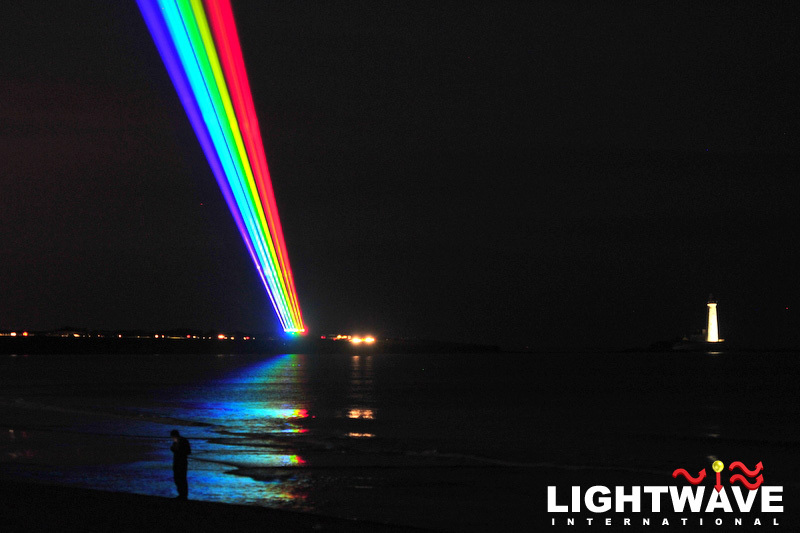 Yvette Mattern is a New York and Berlin based visual artist whose work has an emphasis on video and film, which frequently intersects performance, public art and sculpture. 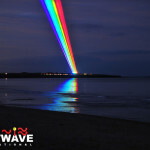 Her work has been exhibited in Berlin, Vienna, Dakar, New York, Venice, Rome, Chicago and Amsterdam.